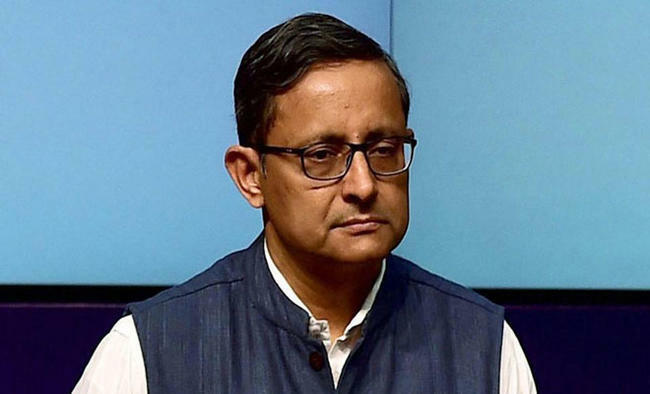 New Delhi: In a reshuffle of top officials, the government on Wednesday appointed Road and Transport Secretary Sanjay Mitra as the next Defence Secretary while Brij Raj Sharma was appointed Additional Secretary in Home Ministry. Mitra, a 1982 batch IAS officer of West Bengal cadre, has been appointed as Officer on Special duty in Defence Ministry and will take over as Secretary on completion of tenure of present incumbent G. Mohan Kumar on May 24, said an official release. The appointments were cleared by the Appointments Committee of the Cabinet. The government also appointed Sharma, an IAS officer of 1984 of Jammu and Kashmir cadre, as Additional Secretary in Home Ministry. Sharma has served on senior positions in Jammu and Kashmir government.Seven more senior officials were posted/transferred in different ministries. Shipping Secretary Rajive Kumar, an IAS officer of Uttar Pradesh cadre, was given additional charge of Secretary, Road Transport and Highways and Electronics and Information Technology Secretary Aruna Sundararajan, an IAS officer of Kerala cadre, additional charge of Secretary, Telecommunications. Rakesh Srivastava, an IAS officer of Rajasthan cadre, has been appointed as Secretary, Women and Child Development. Currently, Member Secretary in the National Commission for Backward Classes, he will replace Leena Nair, an IAS officer of Tamil Nadu cadre, who has been appointed as Secretary, Tribal Affairs. Textiles Secretary Rashmi Verma, of the Bihar cadre, has been appointed as the Tourism Secretary. Jagdish Prasad Meena, who was Special Secretary in the Food Processing Industries Ministry, has been appointed as Secretary, Consumer Affairs, while Anant Kumar Singh, who was Additional Secretary and Financial Adviser in the Petroleum and Natural Gas Minsitry, has been appointed as Textiles Secretary in place of Verma.